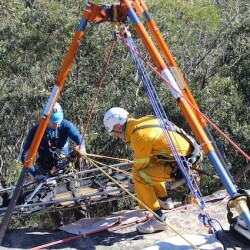 Designed to address the provisions of the International Standard EN 1909-2004 – “Safety Requirements for Cableway Systems Designed to Carry Persons: Recovery and Evacuation”, this course is largely unique in Australiasia. The course is aimed specifically at rescue teams, ski patrollers, ropeway technicians and constructors and is run on site at the student’s place of work. 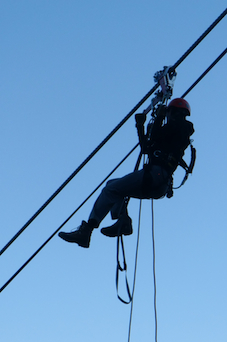 rescuer egress techniques (rappel and cable recovery). 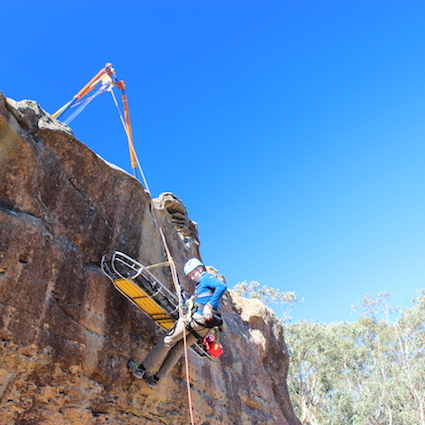 training methods for cableway rescue teams. This course is offered on-demand only, please contact us by completing our course enquiry form below or by calling 02 4784 2224 during business hours. A comprehensive manual (in electronic form) is supplied. All PPE and rescue equipment can be supplied for use during this course. Participants should ideally already be competent operators in their respective fields and may use their existing gear where available.